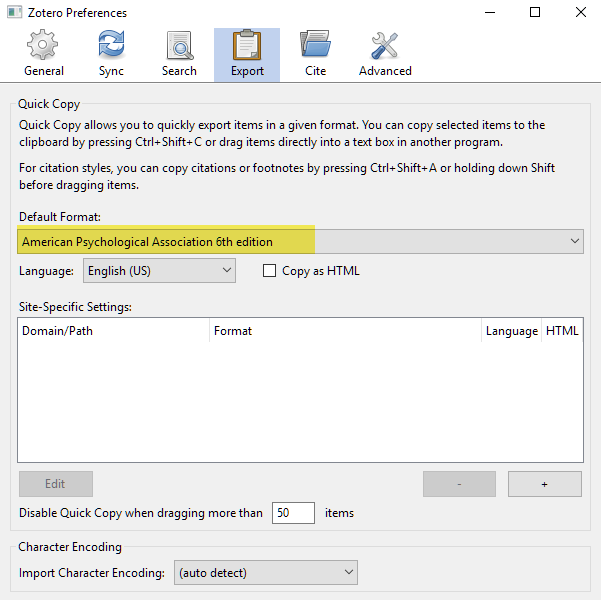 Select and update the scripts for commonly used citation styles. 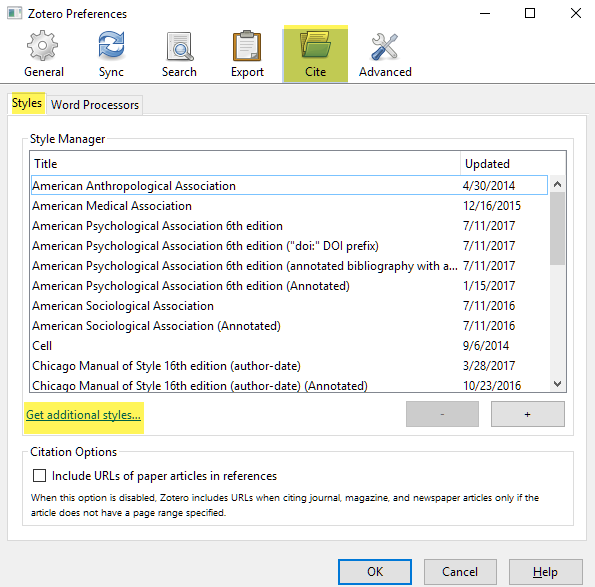 If you have Microsoft Word or LibreOffice installed on your computer, when you first install Zotero a Zotero add-in will also be installed in the word processor. Note: Make sure your word processor is closed when you install Zotero. 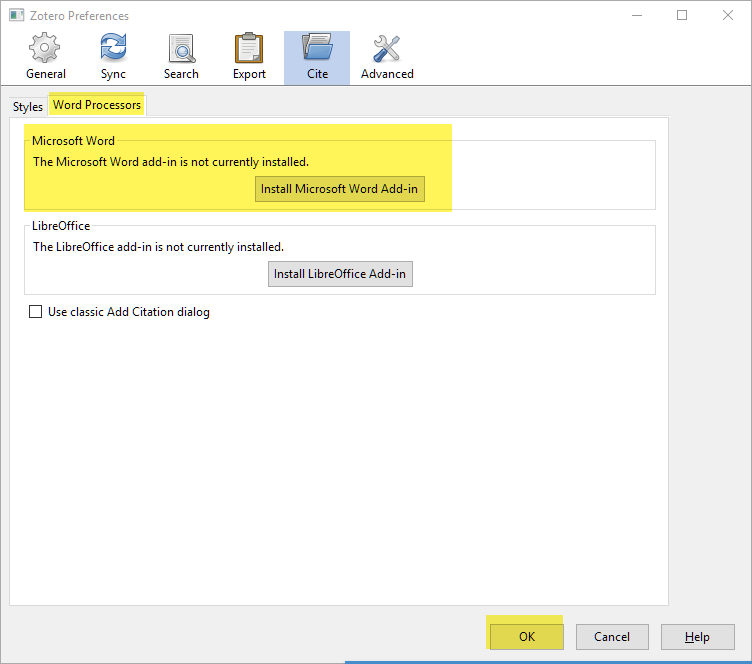 After you install Zotero, check to see if the Microsoft Word add-in is present. 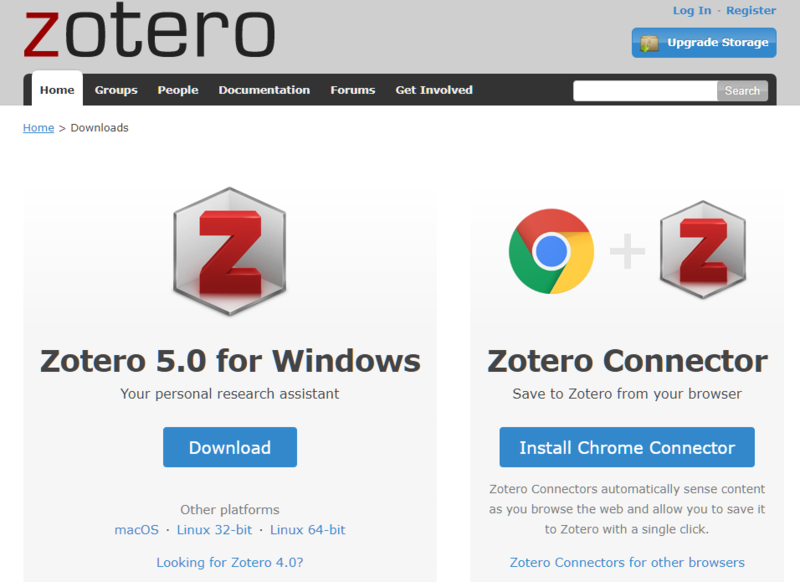 In Windows, you will see a Zotero tab on the Word toolbar. On a Mac, you will either see the Zotero tools hovering over Word to the left of the screen or you will find a Zotero menu in the Applescripts menu. 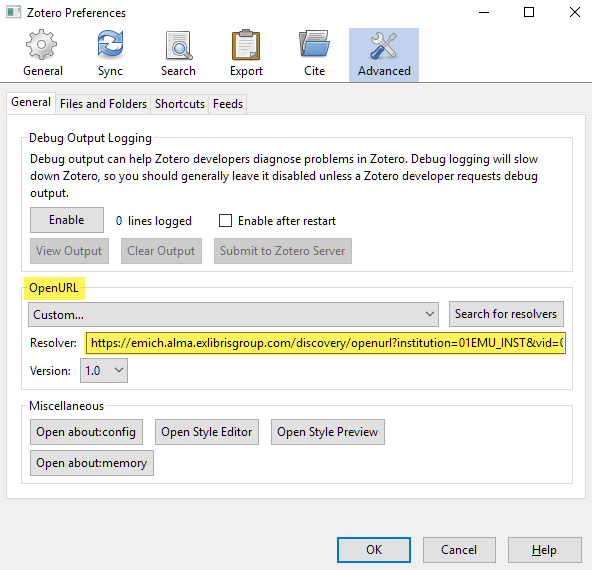 The Zotero library lookup feature allows you to use EMU FindText+ linking to search the EMU library’s holdings to find if an item in your Zotero library is immediately available via EMU. 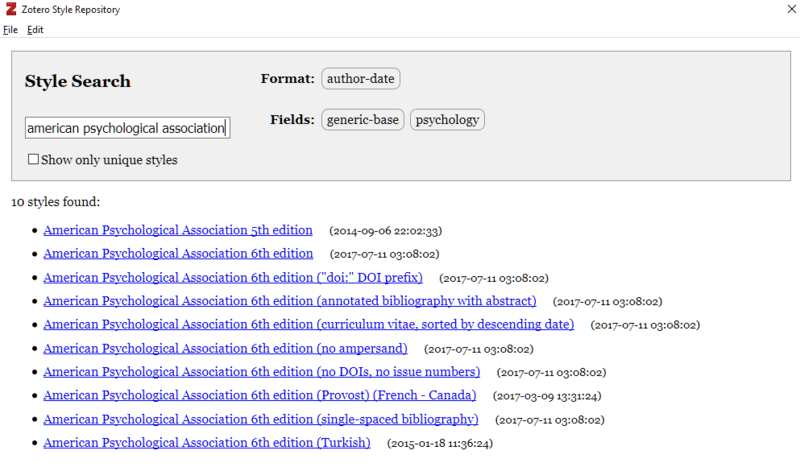 Select an item in the Zotero middle pane, click the Locate button, and click Library Lookup on the menu.